Polarstar has been developed to efficiently tackle the latest demanding coatings applications. The polyester film backing material creates a more flexible and much smoother abrasive surface, compared to paper backing. 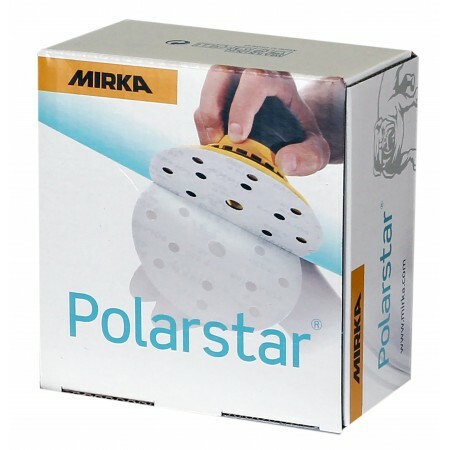 Polarstar produces a fine, consistent surface finish quickly and lasts longer because of excellent resistance to clogging.